o Freedom from suffering requires ACCEPTANCE from deep within of what is. Let yourself go completely with what is. Let go of FIGHTING REALITY. o ACCEPTANCE is the only way out of hell. o Pain creates suffering only when you refuse to ACCEPT the pain. o Deciding to tolerate (endure) the moment is ACCEPTANCE. o ACCEPTANCE is acknowledging what is. o To ACCEPT something is not the same as judging that it is good, or approving of it. o ACCEPTANCE is turning my suffering into pain that I can endure. o Acceptance of reality as it is requires an act of CHOICE. It is like coming to a fork in the road. You have to turn your mind towards the acceptance road and away from the “rejecting reality” (“I don’t have to put up with this!”) road. o You have to make an inner COMMITMENT to accept. The COMMITMENT to accept does not itself equal acceptance. It just turns you toward the path. But it is the first step. o You have to turn your mind and commit to acceptance OVER AND OVER AND OVER again. Sometimes, you have to make the commitment many times in the space of a few minutes. In Dialectical Behavior Therapy (DBT), the word “dialectic” refers to balancing and comparing two things that seem to be quite different – even contradictory. In DBT, this balance is between change and acceptance. For many people, there is a tendency to engage in behaviors that are self-sabotaging or causing unnecessary suffering. There is a clear need to change destructive or maladaptive behaviors while simultaneously working towards radical acceptance of yourself just the way you are. It can be very difficult for many people to truly and completely – “radically” – accept themselves when they strongly dislike certain ways that they are behaving or otherwise living their lives. Radical acceptance is the key toward ultimately making lasting changes in your life. Radical acceptance requires that you look upon yourself, others, and the world in an entirely new way. You must be willing to let go of your ideas about how you “should be” and simply accept the way that you are… in this present moment. When you radically accept something, you are completely releasing judgment of it and avoiding any attempts to fight against or change it. For example, if you were to radically accept this present moment in time, it means that you would acknowledge that everything that “is” right now is the result of a very long and complicated chain of events. You are responsible for some of this present moment and you are not responsible forsome of this present moment. Many events have happened to bring you to precisely where you are right now. McKay (2007) points out that “the present moment never spontaneously leaps into existence without being caused by events that have already taken place. 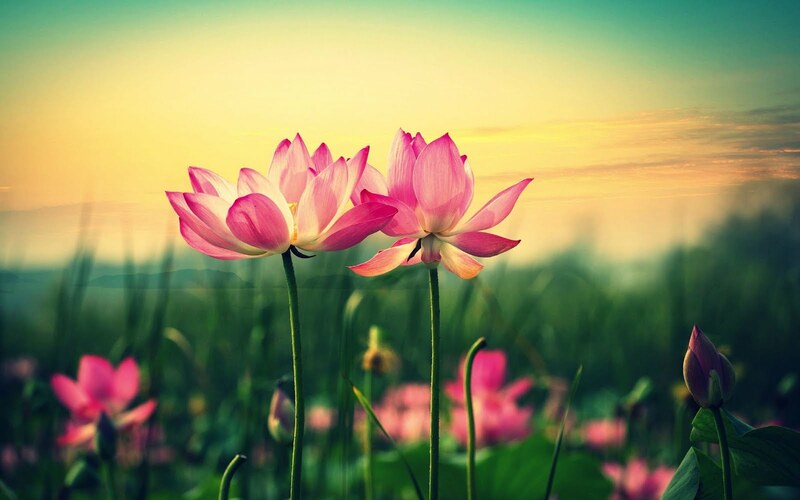 Imagine that each moment of your life is connected like a line of dominoes that knock each other down.” The idea is that this present moment is the complex consequence of many events – some caused by you and some caused by other people. It does no good to place blame on whose “fault” any of it is. The reality is that no matter who “caused” your circumstances in this moment in time, you have to deal with them nonetheless. It is in your best interest to accept this moment precisely as it is and then begin to make real behavioral changes. When you radically accept the present moment, you are allowing yourself the opportunity to recognize and take responsibility for the role that you have played in creating the current reality. Things are rarely “all” anyone’s fault. When you are able to assume responsibility for the only things that are truly within your control – your thoughts and behaviors – then you are taking back an enormous amount of power over building a meaningful life that can enable you to feel happy, proud, and fulfilled. Willingness is accepting what is, together with responding to what is, in an effective and appropriate way. Willfulness is imposing one's will on reality- trying to fix everything, or refusing to do what is needed. It is the opposite of doing what works. A person's job is just to do her best to hit each ball as it comes. Willpower, defiance, crying, or whimpering does not make the machine stop pitching the balls; they keep coming over and over and over. A person can stand in the way of a ball and get hit, stand there doing nothing and let the ball go by as a strike, or swing at the ball. TIPP stands for Temperature, Intense exercise, Paced breathing, and Paired muscle relaxation. When we’re upset, our bodies often feel hot. To counter this, splash your face with cold water, hold an ice cube, or let the car’s AC blow on your face. Changing your body temperature will help you cool down—both physically and emotionally. Do intense exercise to match your intense emotion. You’re not a marathon runner? That’s okay, you don’t need to be. Sprint down to the end of the street, jump in the pool for a few laps, or do jumping jacks until you’ve tired yourself out. Increasing oxygen flow helps decrease stress levels. Plus, it’s hard to stay dangerously upset when you’re exhausted. Even something as simple as controlling your breath can have a profound impact on reducing emotional pain. There are many different types of breathing exercises. If you have a favorite, breathe it out. If you don’t, try a technique called “box breathing”. Each breath interval will be four seconds long. Take in air four seconds, hold it in four seconds, breathe out four, and hold four. And then start again. Continue to focus on this breathing pattern until you feel more calm. Steady breathing reduces your body’s fight or flight response. Try this technique by focusing on a group of muscles, such as the muscles in your arms. Tighten the muscles as much as you can for five seconds. Then let go of the tension. Let the muscles relax, and you’ll begin to relax, as well. The distress tolerance skills in TIPP will bring you a step closer to wise mind, where you will be able to make a constructive choice and cope productively. "The app provides information about DBT and BPD. 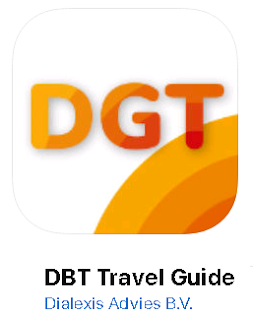 The DBT Travel Guide contains more than 200 different skills and mindfulness exercises. The app can provide support in moments of crisis through its crisis section. For the DBT therapist, the app contains a ‘think of’ scheme, full of practical guidelines. Furthermore, the app offers the possibility to write down agreements between client and therapist and to digitally fill in the diary card."